One of the goals for the new Sismage application was a redesign of the GUI for more efficient and consistent user interaction throughout. A high-priority task was finding a solution for the demanding geoscience views, preferably by leveraging readily available graphic tools in order to keep development costs low as possible. After in-depth performance and functionality testing, the team chose to develop the new graphical interfaces using J/GeoToolkit Java components. 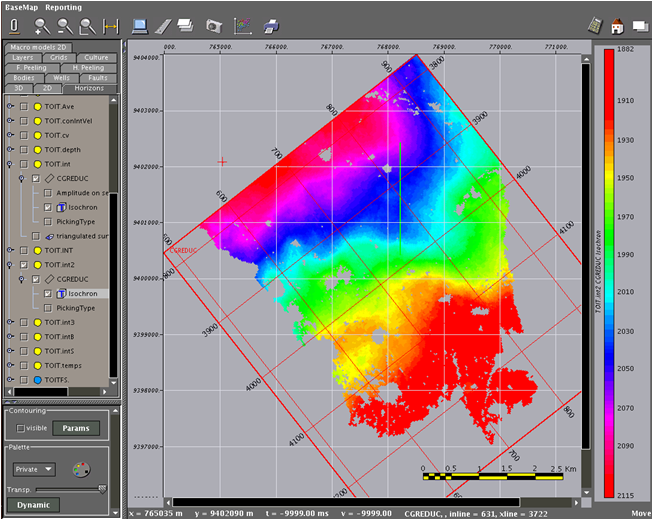 A complete set of viewers were developed using INT technology, including seismic cross-sections, base maps, well log editors, section and basemap multi-views and 3D visualization. INT also provided experts on site to work with the Total team and expedite development of the viewers, helping them meet Total’s aggressive development objectives. The new Sismage was released in Total’s headquarters and affiliate offices: an important step towards effectively delivering a new research application for all the operational units. INT technology contributed to the success of the new Sismage project by allowing the Total development team to focus on core business and develop added value modules. 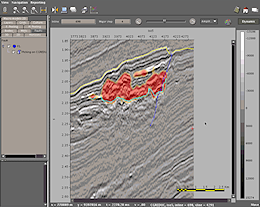 J/GeoToolkit proved itself to be a powerful and efficient solution for building graphical user interfaces for geoscience applications. Total is now looking to incorporate more INT technology in new Sismage viewers, including multi-well cross-sections, wavelet extraction and well calibration. They also plan to extend the use of J/GeoToolkit components to other Total research projects. Total is the world’s fourth-largest international oil and gas company with operations covering the entire oil and gas chain, from exploration and production to trading, shipping, refining, marketing, and chemicals. Total has more than 121,000 employees worldwide.